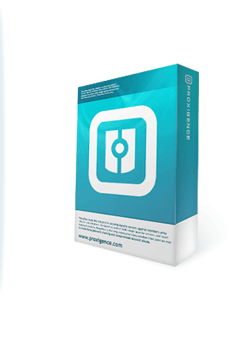 Proxigence software licenses are based on a flat, monthly subscription fee for each installed machine. Installation support, configuration support, and access to future version upgrades are all included in that one low price. Prices do -not- depend on the number of virtualhost domains on your server(s), daily traffic volumes, size of the membership base, or particular software features sets. And there are no minimum contract length requirements. For example, if you have 75 domains on a single machine, you'll need 1 license. If you have 2 machines with 25 different domains on each server, you'll need 2 licenses. If you have a cluster of 10 node machines all serving up 5 load-balanced virtualhost domains, you'll need 10 licenses. After you place your order, a support specialist will contact you to begin the installation. You will not be charged until the installation is complete and the software is up and running. It's that simple. For bulk discounts or enterprise-wide licenses, please contact sales support for more information. All customers already licensing ProxyPass will automatically receive a 25% discount on any other Proxigence software.